Who else has a love/hate relationship with Facebook? Facebook can be a super rewarding social media network. Facebook can also be a little tricky, ok a lot tricky, in getting your posts seen. What if I told you that there is a super easy way to gain more Facebook likes? Yes, tis true and today I am going to share with you The Ultimate Secret to Getting More Facebook Likes! It’s a Facebook Hack y’all! What I am about to share is seriously super easy and really mind-blowing. Step 1: Go to your Facebook business page. Step 2: Choose one of your posts that has some likes. 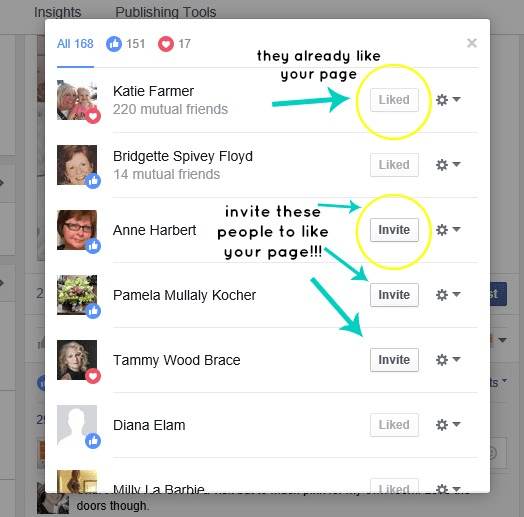 Step 4: INVITE all of the ones that have liked your post, but don’t currently like your page. Step 5: Repeat for all of your posts! So, what does it mean if someone likes your post, but doesn’t like your page? This is actually good news, because it means that your content is being seen. Your post spread to an audience that isn’t your own and they took the time to like your post. 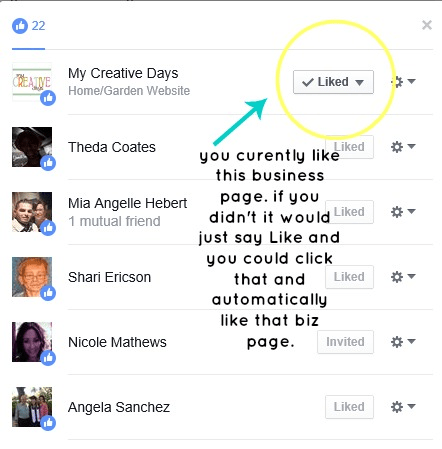 So now, by inviting them to like your page (they already like your content) it is just a gentle reminder that they probably want to follow your biz. Go You! Do you feel like your mind has been blown?? I know that I certainly did when I discovered how easy and effective this Facebook Hack was. I just learned about this trick about a week ago and it definitely works! I’m so glad someone decided to blog about it. Pinning this to my Social Media Tips board now! Isn’t it awesome?! I felt like I hit the holy grail when I noticed it. 🙂 Thanks for sharing it on Pinterest sister. I’m so glad that you went in and invited people to like your page – yeah, Facebook will put a cap on it when you reach a certain number. Thank you so much for commenting and sharing! I just received your email by the way and will be replying soon. Such a great nugget!!! and one I really hadn’t thought of! Thanks! I am so glad that you found this little hack helpful. Thanks for popping in! Sound too good to be true!! Finally something simple that works, doesn’t cost a bunch of money, and is ethical! I’d love to share this with my audience and of course, link back to you.